11 Feb 2019 --- Coca-Cola is launching two new trademark flavors, Orange Vanilla Coke and Orange Vanilla Coke Zero Sugar. The new flavors will be released in the US on 25 February and are the first trademark flavor innovations the company has released in over ten years. The launch follows the introduction of new Diet Coke Blueberry Acai and Strawberry Guava and is proof that Coca-Cola is listening to what consumers want, says the company. The new flavors will be available in 12-oz. cans and 20-oz. PET bottles. After the successful relaunch of Coca-Cola Zero Sugar in 2017 and the 2016 launch of the “One Brand” strategy – which combined all Coca-Cola variants under a common visual identity and creative campaign – the company sought to find new ways to extend its flavors portfolio. Click to Enlarge“What we realized is that we had a diamond in the rough when we looked at our flavors portfolio,” Kate Carpenter, Brand Director at Coca-Cola says. “The growth of Cherry Coke and Vanilla Coke and their zero-calorie variants has been really strong in recent years even with very limited marketing support,” notes Carpenter. 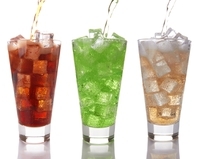 Nonetheless, the company found that only 12 percent of Coca-Cola drinkers were choosing flavored options of the beverage. Innova Market Insights has tipped “The Adventurous Consumer” as the number one trend of 2019 with consumers seeking to experience new, surprising flavors. There is a focus on heightened sensory delivery, often combined with an element of the unexpected. We are entering an “age of the explorer,” where adventurous consumers are coming to the fore and demanding new flavorful experiences with a true story behind them. Globalization is sparking the consumers’ curiosity to discover new food and drinks. This is resulting in brands bringing more variety to the market. Coca-Cola’s North America innovation team considered three other flavors – raspberry, lemon and ginger. Consumer research nonetheless showed that the combination of orange and vanilla emerged as the clear favorite in focus groups. The team managed to roll out the new flavor, from concept to launch, within only a year. Click to EnlargeLast summer, Coke Orange No Sugar was launched in Australia and Coke Orange Vanilla was available in Canada. According to Coca-Cola, consumers in these markets preferred the taste. The research additionally showed that more than half of the people who sampled the new flavors said they would buy it in addition to – not instead of – Coca-Cola or Coca-Cola Zero Sugar. The new flavors also will be available exclusively at Wendy’s restaurants in Coca-Cola Freestyle fountain dispensers through the end of the National Collegiate Athletic Association (NCAA) March Madness basketball tournament before being released nationally across all Freestyle units. Promotional 12-oz. sleek cans of Orange Vanilla Coke, Orange Vanilla Coke Zero Sugar, Cherry Coke and Cherry Coke Zero Sugar will be available for a limited time. Coke Orange Vanilla and Cherry Coke also will be offered in half-liter 6-packs. Sensory explorers are uncovering more exotic food options. As our favorite chefs travel the world for one more series, we are swept up by food discovery in broadcast programming and offered exotic options. Provenance shines through in the authenticity of the selection that ultimately makes its way onto our plates. We have all become food critics who are demanding flavor and textural insights and the food industry is responding with ever more choice and gems to discover and pass on.